В зависимости от условий эксплуатации применяются различные виды управления регулирующей арматурой, чаще всего при этом используются внешние источники энергии и управление по команде от датчиков, фиксирующих параметры среды в трубопроводе. Используется также автоматическое управление непосредственно от рабочей среды. Позиционер — прибор, предназначенный для управления работой привода и установки регулирующего органа в положение, соответствующее электрическому или пневматическому входному управляющему сигналу. Концевой выключатель — устройство, применяемое в системах управления в качестве сигнализатора положения, формирующего сигнал при возникновении определенного события, как правило, механическом контакте пары подвижных механизмов. Электромагнитный клапан (соленоид) — предназначен для управления пневматическим приводом в случаях, когда не требуется точное регулирование. Типичным применением соленоидного клапана может считаться его использование вместо позиционера в конструкции отсечной арматуры. A linear function between the input signal and stroke is the best way to ensure maximum control precision. Control valves with pneumatic actuators, however, are subject to friction, media pressure, and high flow forces, which means that this linearity is not intrinsic in the system. Only a positioner can eliminate positioning errors. To do so, it compares the input signal (reference variable w) with the actual stroke (control variable x). Depending on the control deviation (xW), the positioner uses the intake air pressure (pZ) to yield the actuating pressure (pS) for the actuator (actuating variable y). Either 0.2…1 bar, 4…20 mA or digital signals can be used as input signals. 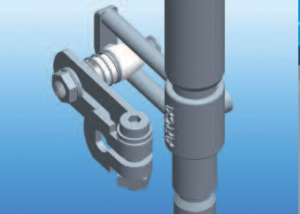 Positioner mounting to IEC 534 (NAMUR) The standard mounting method to IEC 534 is based on manufacturer-neutral mechanical interfaces with the actua-tor yoke and stem. 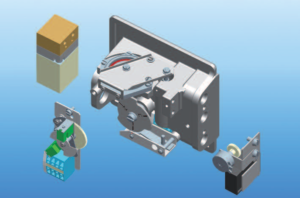 A bracket is normally used to secure the positioner, while the feedback lever comprises a lever with a spring element. The inlet air is connected to the positioner, while the pneumatic connection with the actua-tor is realized by means of a pipe or hose. 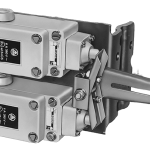 Direct integrated mounting The positioner can be easily mounted on the actuator yoke by means of two screws to ensure that it is robust and protected against vibrations. The feedback lever is located within the yoke, which offers better protection than the NAMUR mounting method. 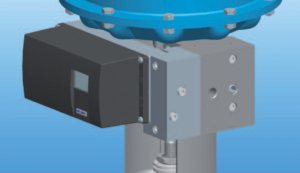 The actuating pressure is chan-neled from the positioner through the actuator yoke to the actuator without the need for additional piping, thereby preventing any leakage. 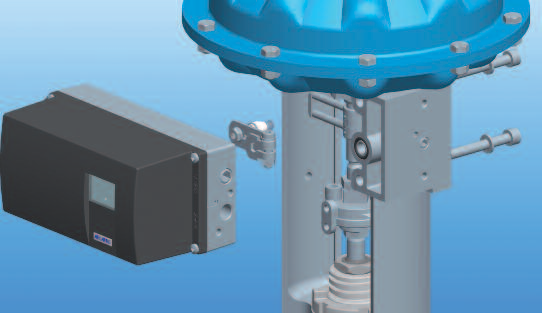 The inlet air is connected directly to the positioner. this method uses standardized mechanical interfaces with the actuator yoke and stem. 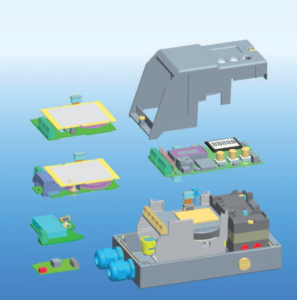 The actuator interface, however, is also a pneu-matic interface, which means that, as with the direct mounting method, the actuating pressure is channeled to the actuator through the actuator yoke. 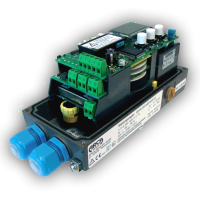 In addition, the rear of the yoke is equipped with an interface for a solenoid valve, which is pneumatically connected between the posi-tioner and actuator, thereby enabling a safety shutdown of the unit. The inlet air is connected directly to the yoke, which means that no work needs to be carried out on the piping if the positioner is replaced. ARCAPLUG® stroke pick-up The patented ARCAPLUG® stroke pick-up connects the valve stem and the stroke scanning lever. The tapered roller, which is made of wear-resistant plastic, grips between two pins on the stem. The spring mechanism for the tapered roller is self-adjusting, which means that the stroke is always detected without any zero backlash and without hysteresis. Even strong vibrations or heavy impacts do not cause any wear and tear, and the spacing tolerances of the pins are optimal equalized. 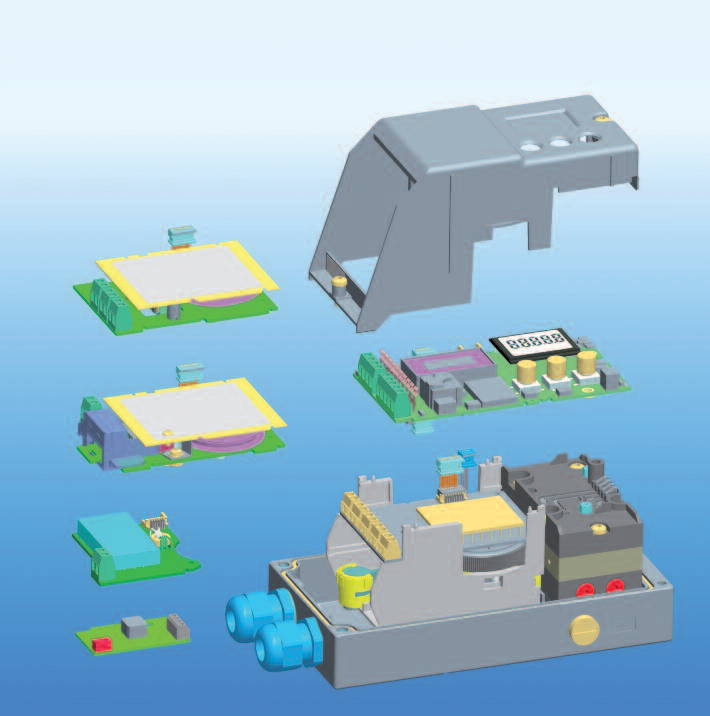 Position transmitter The position transmitter comprises the feedback potentiometer and an R/I converter. It is used for signaling the actual position as a 0/4…20 mA signal. Gauge group The gauge group displays the inlet air pressure, setpoint air pressure and actuating pressure. It also allows you to check whether or not the posi -tioner is functioning properly.